DIL's Bullion Operation is professionally managed. Centralised Bullion Desk in Mumbai with Bullion Treasury, Client Service Team and Back Office. 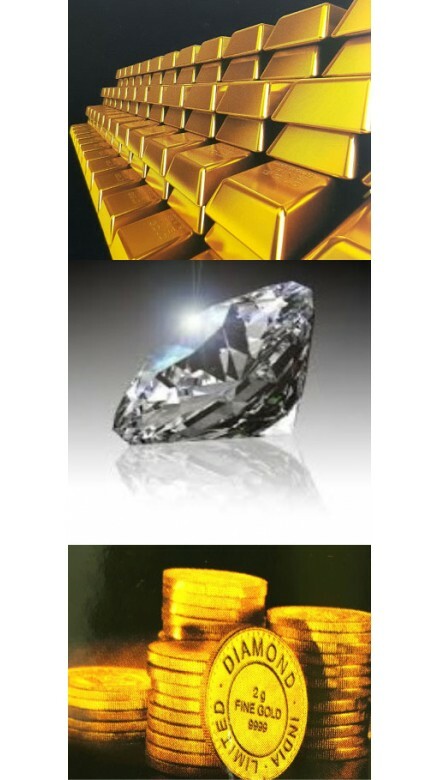 DIL imports gold and silver through international bullion banks / reputed suppliers. Bangalore: Jayawal Business Centre, 22nd Floor, RR Chamber, 11th Main Vasant, Bangalore560052. Chennai: Old No 52,New No.76, Kapadia Estate, IIND Floor,Sembudoss Street, Chennai - 600 001. Delhi: GJEPC Office ,F 17-18, Flatted Factories Complex , Jhandewalan, Delhi - 110 055. Hyderabad: 2 2 1118/1/8/K, First Floor, Opp SBI, Shiva Road, Hyderabad- 500044. Indore: 502, Usha Nagar Ext, Indore - 452009. Jaipur: GJEPC Office, Rajasthan Chamber Bhavan, 3rd Floor, Mirza Ismail Road, Jaipur - 302 003. Mumbai: 2A-A Wing, Laxmi Tower, 'G' Block, Behind ICICI Bank Ltd., Bandra-Kurla Complex, Bandra - East, Mumbai - 400 051. Puducherry: No.59, Sathani Street, Kosapalayam, Punducherry - 605013. Raipur: Sumeet Building, C/O Sumeet Sales Bazar, Madarsa Road, Chhotapara, Raipur - 492001. Surat: 6/1950, 1st Foor, Near R.T. Appartment, Dalgiya Mahollo, Mahidharpura, Surat - 395003. Vijayawada: 8/78/1 Plot No 104,1st Floor, Manu Nilayam, Gollapudi, Vijayawada - 521225.